Some time back, Kat looked at an XBLIG called Square Off. In that game, you and your buddies played as one of four “Square Avengers” that were out to save the Earth from invading aliens. Fast forward to now and another co-op title hits the Xbox Live Indie scene where you and up to three more of your local buddies can team up to take down invading hordes of… errr, candy? Let me be clear from the start, though: while The Sugar Killerz does bring to mind the other indie title previously mentioned, it doesn't feel like some knock-off and stands out on its own. The game starts off with a kind of picture-by-picture set up for the ensuing saccharine carnage. Near as I can tell, the king of some kingdom gets it into his head that if all the candy in the kingdom is destroyed, his popularity will go up; so he hires four mercenaries to complete the sweet deed. This is where you and your buddies step-in. You can choose to play as The Mad, The Dumb, The Cool, and The Bad, though all play the same when controlled by players, just with different colors and skins. You have at your disposal a small arsenal of firearms, including a shotgun, a sniper rifle, and dual SMGs (each with a primary and secondary fire), that you can quickly switch between using the 360 controller’s face buttons. As you go through each level, the objective is straightforward and simple: kill all the candy you see. 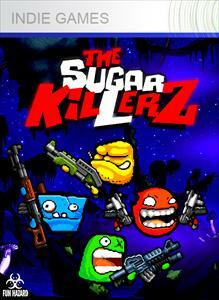 Gameplay-wise, The Sugar Killerz comes off feeling similar to a lot of twin-stick shooters out there. Movement is controlled with the left stick, you aim with the right, and fire your weapon using either the right or left trigger (for primary and secondary fire, respectively). However, the power-ups (you can go all John Woo, slow motion style) and co-op gameplay is where this title truly shines. I mentioned previously that there are four different mercs from whom to choose when you play and how each one plays the same when controlled by players. The flavor text pretty much says it all... 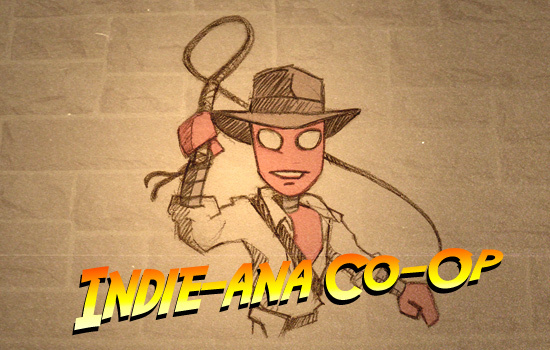 Co-op action for all! If you don’t have enough players to fill up the other slots for a session, then the AI will control the remaining mercs; and each one will behave in his own particular way. The Bad, for instance, tends to hog all the power-ups and is very aggressive, racking up kill after kill. So even if you’re just playing with one friend while the computer controls the rest, you will still get some of that same feeling of having a full group with the way the AI-controlled buddies behave. Having AI companions that actually work (gasp!) aside, the game itself is very co-op friendly and definitely is a great “pick-up-and-play for a few levels” kind of game. The sheer mayhem that ensues when the screen fills up with “Horny Pigs” (nope, that’s not a mistake) is something that just has to be experienced with a friend. Oh, and while there’s no friendly-fire mechanic, in what feels like a very tongue-in-cheek kind of nod to it, you revive falling comrades by shooting their ghosts before they float off the screen. 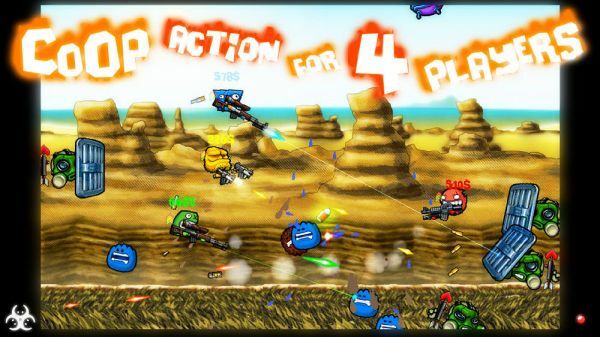 For an XBLIG title, $5 may seem like a fair amount to ask, but The Sugar Killerz’s replay value is fairly high and is a great addition to any shooter’s library of games. Page created in 0.5648 seconds.